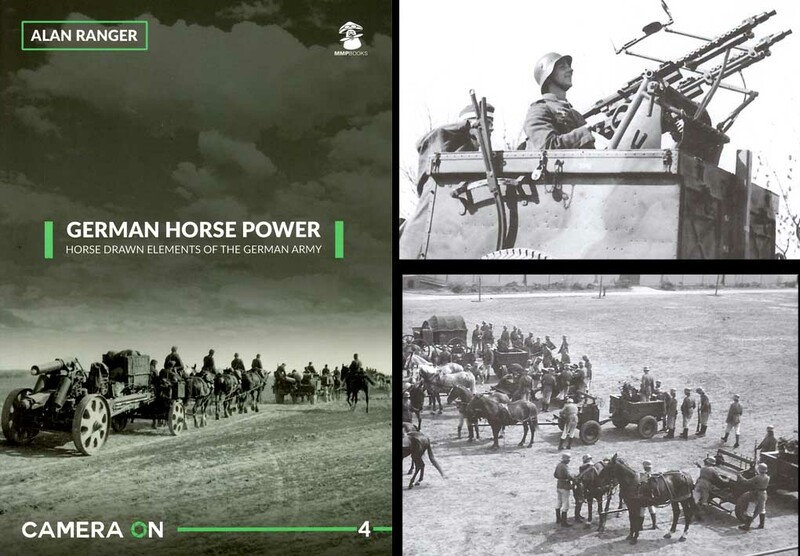 It is a well-known fact that the German forces relied upon horse-drawn transport throughout WW2, and far from becoming fully mechanised, the Wehrmacht suffered severe shortages of motorised transport at all stages of the conflict. The horse-drawn equipment has never held the modeller in the same way as the armour and soft-skin vehicles, and as a result, the subject is poorly covered in books and kits. Alan Ranger has come to the rescue with this 80-page A4 book which aims to redress the balance. The book begins with a two-page introduction which provides a lot of useful information about sizes and designs of wagons. The photographic coverage fills the majority of the book, with large, clear and well-presented images, usually two per page, which show the subject very well. The first thirty photos cover the If.5, which is the little anti-aircraft wagon and limber, armed with twin MG34, and released a few years ago in 1/35th by Riich. I wish I’d had these photos when I was making the kit! After this, there are 18 pages of supply wagons, which include the light Hf.1, the heavy Hf.2, and a variety of captured and impressed wagons from various sources. The coverage also includes the Stahlfeldwagen, which was an all-metal wagon (also released by Riich). 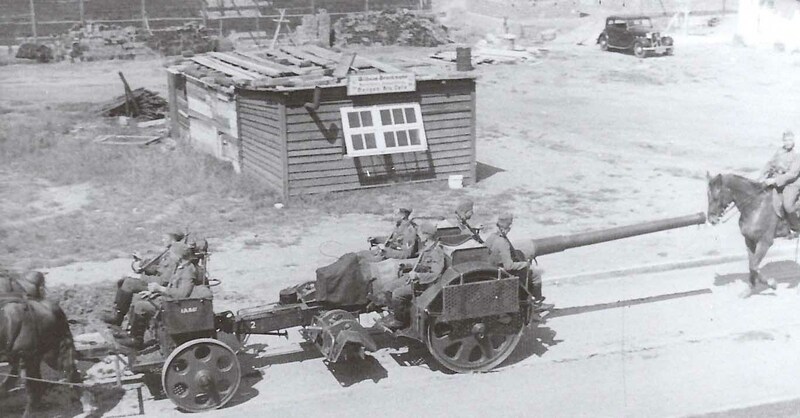 On page 39, the author says that he can’t make out the sign on a wagon – it actually says “Breslau is too small for us, we are going to Neuhammer” on a wagon which carries the sign of the 81 Infanterie Division. Pages 42 to 48 cover the field kitchens, all of which are labelled Hf.12 (small field kitchen) although many show the Hf.11 (large field kitchen) – as in the Tamiya kit. For example, the two types are shown on page 45, the lower photo showing a large field kitchen with the food containers on both sides of the central cauldron. Pages 50 and 51 show some seriously inaccurate captions. The top of page 50 shows one horse pulling the trailers, not two. The picture below shows a captured French Mle.1937 voiturette d’infanterie, and the two pictures on page 51 show 37mm Bofors anti-tank guns with their standard Polish limbers, as captured, not an If.8 or a unit-fabricated limber. The remainder of the book is largely devoted to artillery limbers. Sadly, there is more creative captioning going on, as on page 54 where the upper photo shows abandoned limbers for the early Russian 76.2mm F-22 gun, and the lower photo shows standard light limbers. The wreck on page 58 is a GAZ truck, not a Mercedes. In summary, the book provides a lot of useful information at a relatively low price (£15), and the photographs are all ‘new’ in print. While this review has picked out some of the errors, it is important to be circumspect about all captions. That aside, the book has much to recommend it.